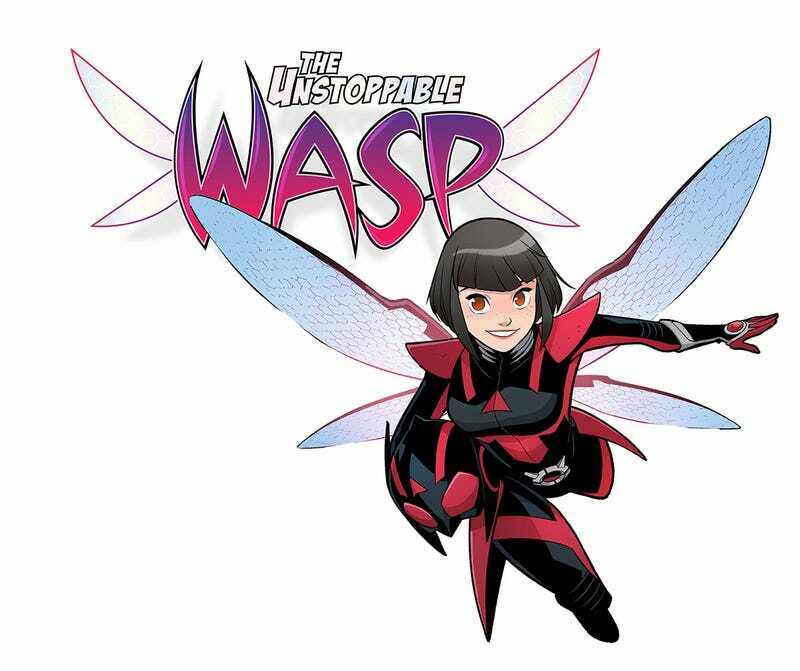 The Unstoppable Wasp is Coming Back! One of the best Marvel comics of 2017 was The Unstoppable Wasp by writer Jeremy Whitley and artist Elsa Charrieter (and later Veronica Fish and Ro Stein). It was fun and energetic, telling the story of Nadia, Hank Pym’s daughter from his first wife (the wife who had been kidnapped by Russian spies, so she was therefore raised by the Red Room), as well as giving one of the best stories about Janet van Dyne there is. Unfortunately, The Unstoppable Wasp only went on for eight issues before it...stopped. Fortunately, in October 2018, it’s coming back, still written by Jeremy Whitley, but this time illustrated by Gurihiru (a Japanese two-woman art team that recently finished the awesome Unbelievable Gwenpool). This is great news for people who loved the first Unstoppable Wasp series and for fans of Gurihiru’s artwork (of which I am both). And all the recurring characters from the original, the Agents of G.I.R.L., will be back as well.